Announcing the public preview of Windows Container Support in Azure App Service - Windows Server Containers in Web App are now available in public preview. Azure App Service provides pre-defined application stacks on Windows like ASP.NET or Node.js, running on IIS. The preconfigured Windows environment locks down the operating system from administrative access, software installations, changes to the global assembly cache, and so on. If your application requires more access than the preconfigured environment allows, you can deploy a custom Windows container instead. Azure App Service caches several parent images to reduce start-up time. Announcing general availability of Azure SQL Database reserved capacity - Azure SQL Database reserved capacity is generally available and is now available for single and elastic pool databases. Customers with active Software Assurance can save up to 55 percent using Azure Hybrid Benefit for SQL Server with the new vCore-based purchasing model in SQL Database. With support for reserved capacity on single databases and elastic pools, you can unlock even more savings when you combine your Azure Hybrid Benefit with reserved capacity pricing to save even more. SQL Database reserved capacity pricing is scoped to either a single subscription or shared. SQL Database reserved capacity is initially available to single databases and elastic pools, with managed instance support coming later. Linux on Azure App Service Environment now generally available - Linux on Azure App Service Environment (ASE) combines the features from App Service on Linux and App Service Environment. Take advantage of deploying Linux and containerized apps in an App Service Environment, which is ideal for deploying applications into a VNet for secure network access or apps running at a high scale. With Linux on ASE, you can deploy your Linux web applications into an Azure virtual network (VNet) by bringing your own custom container, or just bring your code by using one of our built-in images. Effective July 30, 2018, Linux and containerized apps deployed in an App Service Environment have returned to regular App Service on Linux and App Service Environment pricing. Linux on ASE is now available in all App Service on Linux’s 20+ regions/countries. The Azure Podcast: Episode 241 - Service Fabric & Service Fabric Mesh - Deep Kapur, a Microsoft PM on the Azure team, gives us an great refresher on Service Fabric and breaks down the new Service Fabric Mesh offering for us. Ethereum Proof-of-Authority on Azure - Proof-of-Authority, is more suitable for permissioned networks where all consensus participants are known and reputable. Without the need for mining, Proof-of-Authority is more efficient while still retaining Byzantine fault tolerance. From the Azure portal, you can provision a fully configured blockchain network topology in minutes, using Microsoft Azure compute, networking, and storage services across the globe. Rather than spending hours building out and configuring the infrastructure, we have automated these time-consuming pieces to allow you to focus on building out your scenarios and applications. You are only charged for the underlying infrastructure resources consumed, such as compute, storage, and networking. There are no incremental charges for the solution itself. This solution also comes with Azure Monitor to track node and network statistics. Security Bulletin for August 2018 - Microsoft is aware of a temporary denial of service (DoS) vulnerability (CVE-2018-5390) affecting the Linux Kernel. Virtual Machines running Linux may be vulnerable. The Azure Host platform remains secure from this vulnerability. We are working with various Linux distributions to ensure that they address this security issue. Speech Devices SDK and Dev Kits news (August 2018) - Speech Devices SDK v0.5.0 is now available for download. See this post for details on how to access it. Note that the Speech Devices SDK consumes the Speech SDK, so be sure to use the latest version of the Speech Devices SDK and its matching sample app. This SDK only supports Java at this time. 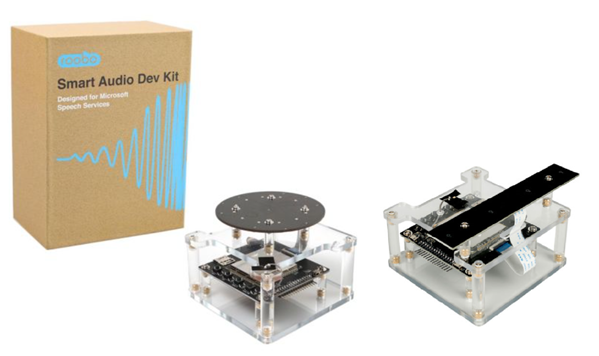 The microphone array dev kits from our hardware provider Roobo went on sale recently. This post also has details on how to order, but delivery is currently only available to the USA and China. New locations for Azure CDN now available - Azure CDN provides a world class platform to let you reduce load times, save bandwidth, and speed responsiveness across your businesses diverse workflows. Azure CDN from Microsoft enables Azure customers to use and deliver content from the same global CDN network leveraged by Microsoft properties such as Office 365, Skype, Bing, OneDrive, Windows, and Xbox. Eight additional point-of presence (POP) locations include three new countries to our global coverage. Azure Data Factory Visual tools now supports GitHub integration - You can now integrate your Azure Data Factory (ADF) with GitHub. The ADF visual authoring integration with GitHub allows you to collaborate with other developers, do source control, versioning of your data factory assets (pipelines, datasets, linked services, triggers, and more). ADF-GitHub integration allows you to use either public Github or GitHub Enterprise depending on your requirements. You can use OAuth authentication to login to your GitHub account. Azure Friday | Azure Data Factory visual tools now integrated with GitHub - Gaurav Malhotra joins Lara Rubbelke to discuss how you can associate a GitHub repository (public & enterprise) to your Azure Data Factory for collaboration, versioning, source control. Enhance security and simplify network integration with Extension Host on Azure Stack - We’re bringing the Extension Host solution to Azure Stack so that only have to open one port (443). This solution is already available on Azure, allowing all requests to be funneled through one port, reducing the ports that need to be opened on the firewall, and allowing customers to communicate with these end points via proxy servers. In its first release, the User and Admin portal default extensions have moved to this model, thereby reducing the number of ports from 27 to one. Over time, additional services such as the SQL and MySQL providers will also be changed to use the Extension Host model. Note that Extension Host requires two wildcard SSL certificates, one for the Admin portal and one for the Tenant portal. The Azure Stack Readiness Checker tool will validate these certificates. Azure Friday | Provisioning Kubernetes clusters on AKS using HashiCorp Terraform - Anubhav Mishra (Developer Advocate, HashiCorp), joins Scott Hanselman to discuss how to use HashiCorp Terraform to create & manage Kubernetes clusters in Azure using Azure Kubernetes Service (AKS). Mishra further explains the benefits of using Terraform to provision Azure infrastructure and demonstrates how to configure a Kubernetes cluster on AKS. Azure Friday | Siphon on HDInsight Kafka - Thomas Alex joins Lara Rubbelke to discuss how Microsoft uses Apache Kafka for HDInsight to power Siphon, a data ingestion service for internal use. Apache Kafka for HDInsight is an enterprise-grade, open-source, streaming ingestion service. Microsoft created Siphon as a highly available and reliable service to ingest massive amounts of data for processing in near real time. Siphon handles ingestion of over a trillion events per day across multiple business- critical scenarios at Microsoft. In this episode, learn how Siphon uses Apache Kafka for HDInsight as its scalable pub/sub message queue. The Developer’s Guide to Microsoft Azure eBook - August update is now available - There's a new and updated Developer’s Guide to Microsoft Azure eBook from the team of Michael Crump (@mbcrump) and Barry Luijbregts (@azurebarry). 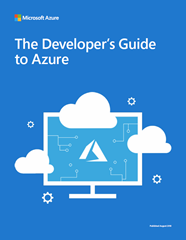 Featuring extensive updates since the last update, the new eBook is designed to help you get up to speed with Azure in the shortest time possible and includes practical real-world scenarios. In addition to the PDF, this version is also available in EPUB and Mobi editions, so be sure to click the text link under the cover image for all 3 formats. Azure HDInsight Interactive Query: Ten tools to analyze big data faster - Customers use HDInsight Interactive Query (also called Hive LLAP, or Low Latency Analytical Processing) to query data stored in Azure storage & Azure Data Lake Storage in super-fast manner. Interactive query makes it easy for developers and data scientist to work with the big data using BI tools they love the most. HDInsight Interactive Query supports several tools to access big data, which are cataloged in this blog post. Getting started with IoT: driving business action through analytics and automation - Whether you're dealing with real-time or historical data, or you need to automate a function, Azure IoT has the tools to meet your needs. Learn which Azure IoT offerings can best support your use case whether you need to do near real-time or historical data analysis. Either way, be sure to explore the Building IoT solutions with Azure: A Developer's Guide, which is linked to from this post. Now Available: Azure Sphere technical documentation - Azure Sphere documentation covers a range of topics from architecture, key concepts, developing applications, and deploying those applications over-the-air to devices in the field. Also included is a QuickStart guide, tutorials and a selection of best practices – all of which will help you rapidly get up and running with your dev kits. Check this post for links to the docs and to order a dev kit today. How Microsoft drives exabyte analytics on the world’s largest YARN cluster - YARN is known to scale to thousands of nodes, but what happens when you need to tens of thousands of nodes? The Cloud & Information Service at Microsoft is a highly specialized team of experts that work on applied research and science initiatives focusing on data processing and distributed systems. This blog post explains how CISL and the Microsoft Big Data team met the challenge of complex scale and resource management – and ended up implementing the world's largest YARN cluster to drive its exabyte-sized analytics. Learn how to orchestrate serverless functions by scraping APIs in 8 minutes - In this post, Maxime Rouiller explains how he retrieves metadata from over 900 samples in the Azure Samples GitHub repo to validate their last commit date. He refactors a local console application built using the Octokit library into a fan-out/fan-in durable function that orchestrates obtaining the list of samples and then collecting the metadata from each sample in parallel using Azure Functions. How to use keyboard shortcuts in the Azure portal - In this edition of Azure Tips and Tricks, you'll learn how to use keyboard shortcuts that are available in the Azure portal. Keyboard shortcuts allow you to complete actions and navigate without having to take your hands off of the keyboard, making it easier to work in the portal. Microsoft Ignite – now with more code - Ignite 2018 is going to have more developer-focused content than ever before. If you're a developer, check out why you should be heading to Orlando in September. Microsoft Azure at SIGGRAPH 2018 - Microsoft is at SIGGRAPH 2018 in Vancouver, BC, Canada this week. If you're there, come learn more about Azure’s intelligent cloud solutions that produce actionable insights, accelerate media delivery, and inspire your team to deliver new experiences. Join Microsoft in Booth 620 to learn how Microsoft Azure and our partners—including Avid, Nimble Collective and Teradici—can help you transform your media workflows and audience experiences. IoT In Action webinar series: Agriculture - Join Microsoft’s IoT In Action Agriculture Webinar to learn how we’ve enabled precision farming through FarmBeats and partnerships with solution integrators. We believe that collected and predicted data, coupled with the farmer’s knowledge about the farm, can help increase farm productivity and help reduce costs. You won’t want to miss learning how Microsoft’s FarmBeats project is building several unique solutions and using machine learning to solve problems via combination of various data from low-cost sensors, drones and vision. The IoT Show | IoT In Action - The Next Agricultural Revolution - Collected and predicted data, coupled with the farmer's knowledge about the farm, can help increase farm productivity and reduce costs. Microsoft already enabled precision farming through FarmBeats and partnerships with solution integrators leveraging the Azure IoT platform and solutions. Service Fabric Community Q&A 27th Edition - The Service Fabric team will be holding their 27th monthly community Q&A call on Thursday, August 16 at 4pm Pacific Time. Their teammates in Denmark and India will host a Q&A earlier that day at 1130 UTC to accommodate other time zones. Twitter AMA with the App Service Team #AppServiceAMA!! - The Azure App service team will host a special Ask Me Anything (AMA) session on Twitter, Wednesday, August 22, 2018 from 9am to 11am Pacific Time. You can tweet to @AzureSupport with #AppServiceAMA with your questions about the service. The IoT Show | IoT Developers and the MVP Program - What is the Most Valuable Professional (MVP) program about and how can you, as an IoT developer, be nominated or nominate someone awesome to become an MVP? Ranga Vadlamudi tells us all about the IoT MVP program on the IoT Show. Enhance your DevSecOps practices with Azure Security Center’s newest playbooks - Cloud-hosted workloads offer excellent scalability, ease of deployment, and pre-secured infrastructure for your workloads. However, the workloads themselves may still be susceptible to attack by cybercriminals. Avyan Consulting partnered with the Azure Security Center team to build attack simulation playbooks for demonstration and training purposes. Azure administrators may use these playbooks to deploy fully operational web and Compute workloads, security management tools such as Azure Security Center & Web App Firewalls (WAFs), and SQL threat protection. These tools work with Cloudneeti from Avyan Consulting to provide rich compliance views across Azure resources. Accelerate healthcare initiatives with Azure UK NHS blueprints - To rapidly acquire new capabilities and implement new solutions, healthcare IT and developers can now take advantage of industry-specific Azure Blueprints. These are packages that include reference architectures, guidance, how-to guides and other documentation, and may also include executable code and sample test data built around a key use case of interest to healthcare organizations. Blueprints also contain components to support privacy, security, and compliance initiatives, including threat models, security controls, responsibility matrices, and compliance audit reports. This post focuses on four new blueprints created to support UK National Health Service (NHS) cloud initiatives, as well as an existing blueprint for AI in healthcare that includes HIPAA and HITRUST compliance support, which can be used worldwide with suitable customization. Azure This Week - 10 August 2018 - This time on Azure This Week, Lars goes through four new services for the Azure platform: Manual failover for IoT Hub cloud service, Instance size flexibility for Azure Reserved Virtual Machine Instances, the general availability of Azure management groups and the general availability of Linux which is now on the App Service Environment.